Blasphmachine are a band from Malaysia that plays a raw mixture of black, death and war metal and this is a review of their 2015 album "Salvation" which was released by Dunkelheit Produktionen. Ritualistic sound effects start off the album before adding in drum beats which also leads up to more of a heavy war metal direction along with some vocals and bestial growls and the songs also bring in a great mixture of slow, mid paced and fast parts and the faster sections of the songs also bring in a great amount of blast beats. Spoken word parts can be heard in certain sections of the recording and the songs also bring in elements of black and death metal as well as having a musical style that is very heavily rooted in the mid 90's to early 2000's era of war metal and some of the riffs also incorporate a decent amount of morbid sounding melodies and they close the album with a cover of Black Witchery's "Into Damnation Eternal". 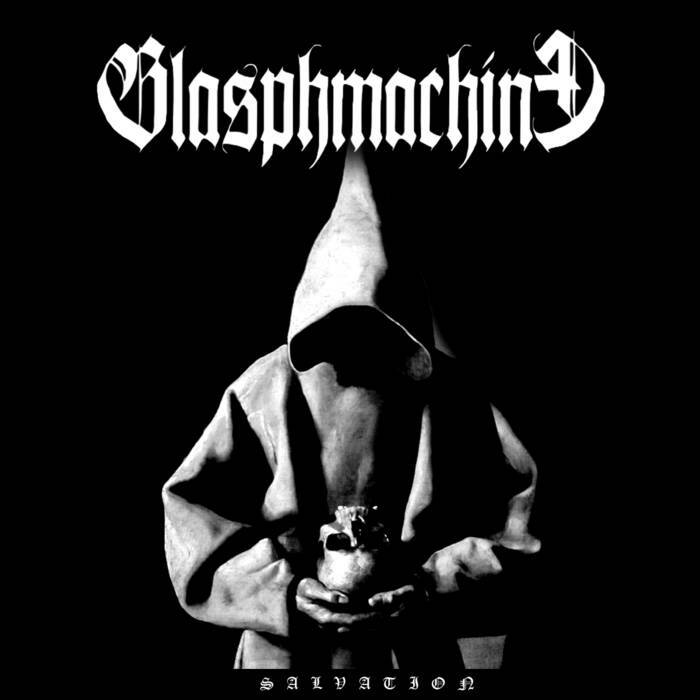 Blaspmachine plays a style of black/war metal that is very fast, raw and aggressive and also brings in a touch of death metal, the production sounds very dark and raw while the lyrics cover Anti Christianity, Blasphemy, Occultism and War themes. In my opinion Blasphmachine are a very great sounding mixture of war, black and death metal and if you are a fan of those musical genres, you should check out this band. RECOMMENDED TRACKS INCLUDE "Temple Of Desolation" "The Beast Among Men" and "Leviathan". 8 out of 10.